November 13, 2014 by Ecommerce News. About Statistics with tags Austria, Czech Republic, Germany, Hungary, Poland, Slovakia, Slovenia, Switzerland. 11756 views. 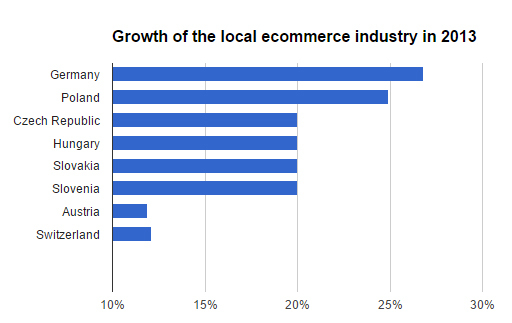 The ecommerce industry in Central Europe has shown an average growth rate of nearly 23% last year. That is a better development than the average European growth of 17.5%. 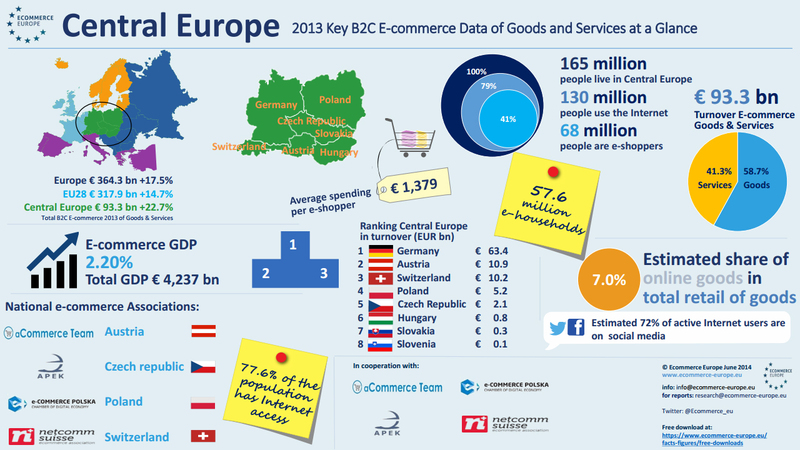 Together, the countries in Central Europe generated online sales worth 93.3 billion euros. Back in 2012 total sales were worth 75.9 billion euros. “Central Europe continues to perform well and the market in online is doing well across many product areas”, says Andrew Phipps, global director at GfK in the latest Central Europe B2C E-commerce Report by Ecommerce Europe. “The continued cumulative growth in smartphones and tablets leads to an ever increasing number of access points to the ecommerce world”, he says. Last year 68 million of the 165 million Central European citizens bought products and services online. Germany is still by far the biggest ecommerce country in Central Europe, as its ecommerce turnover reached 63.4 billion euros in 2013, accounting for 68% of the region’s total ecommerce turnover. With a very high Internet penetration (86%) and the largest online population in Europe (70.5 million people), Germany is very active online. It saw its ecommerce market grow by 27% last year, which makes it the strongest growing ecommerce country of Central Europe. 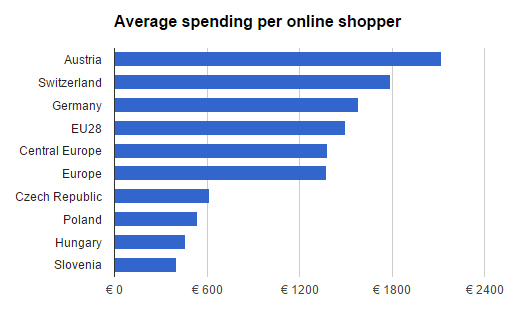 Ecommerce Europe also looked at how much inhabitants from the Central European countries spent on average in 2013. Last year they spent 1,379 euros per person online, which is over a hundred euros more than in 2012 and even a little more than the European average of 1,376. More about Austria, Czech Republic, Germany, Hungary, Poland, Slovakia, Slovenia or Switzerland.